Cracked swages, chafed rope, corroded fasteners, deformed shackles, these are the kinds of things that most people – and I think most surveyors – think of when you say “rig survey.” In this view the rig is a series of components, and it is the job of the surveyor to hunt through it, and winnow out anything that is faulty. It can be great fun, a thrill-of-the-hunt experience, and you get a lovely wash of endorphins when you find something, but that same wash tends to shut down your peripheral vision, tends to keep you from seeing the roots of the problem, as well as related failures in other components. Let’s take that cracked swage. Why is it cracked? It might be from internal corrosion, or fatigue, or an out-of-spec swaging machine, or bad metal, or any combination of those and other factors. If the crack is vertical, then it is most likely a product of corrosion, because corrosion always entails expansion of the material, and this will try to blow the swage apart, creating vertical cracks. But then it makes sense to ask why is it corroded? Get out a magnet and put it on the wire. If it sticks, the wire is type 302/304, which is less corrosion-resistant than type 316. And then it makes sense to ask how old is this wire, and where has it been living? If the answer is, oh, 4 years and Hawaii, then we have a piece of rigging that was not suited to the environment it was sent to. And then we must wonder what else in the rig might have been ill-suited to that environment. You will start looking more closely at the quality of the chainplates, and how well they were sealed. 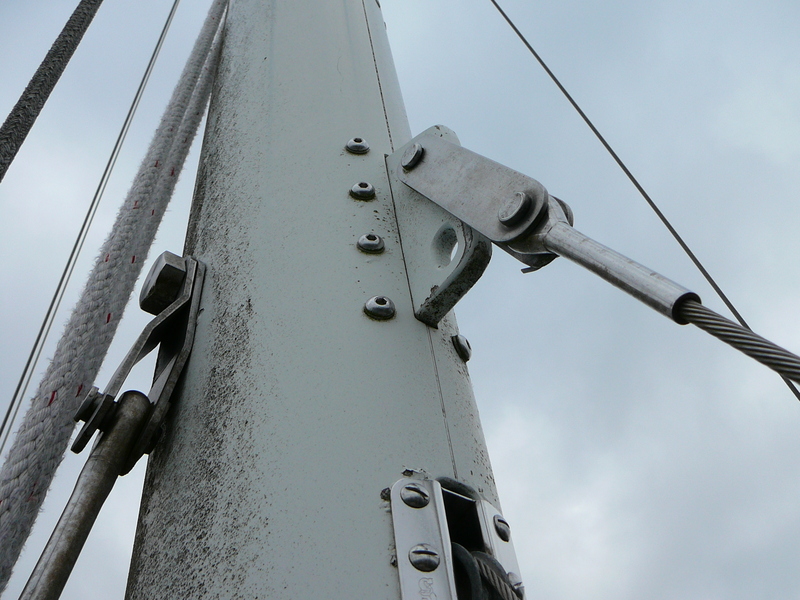 You will get obsessive about checking all fasteners for galvanic corrosion, and all running rigging for UV damage. In other words, you will use that crack, not as a trophy, but as a window into the rest of the rig. Your follow-up actions will change accordingly. Instead of recommending replacing the component, you will specify the better alloy, and maybe recommend that the client finds a shop that dips its wire ends in sealant before swaging, to prevent the internal corrosion that can happen even to that better alloy. Similarly, a deformed shackle might lead you to consider that whoever rigged this boat might not have been real enthusiastic about calculating loads. 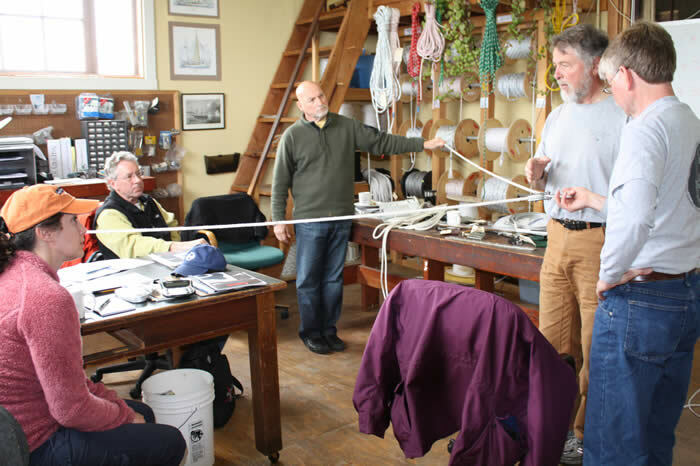 If the shackle was on a halyard, you would determine the loads on that halyard (ideally from windspeed and sail area calculations, but at least from ropemaker’s recommendations) and see how the current halyard stacks up. Let’s say it is the proper size, strength, and degree of inelasticity. You would still follow its path, making sure it fits the masthead sheave, that if it goes through a rope clutch that the clutch is up to those loads, and that if it goes aft that the deck turning block is up to taking a load that is almost 1 ½ times that on the halyard, and that the winch won’t require grunting-level exertion to tighten the halyard. 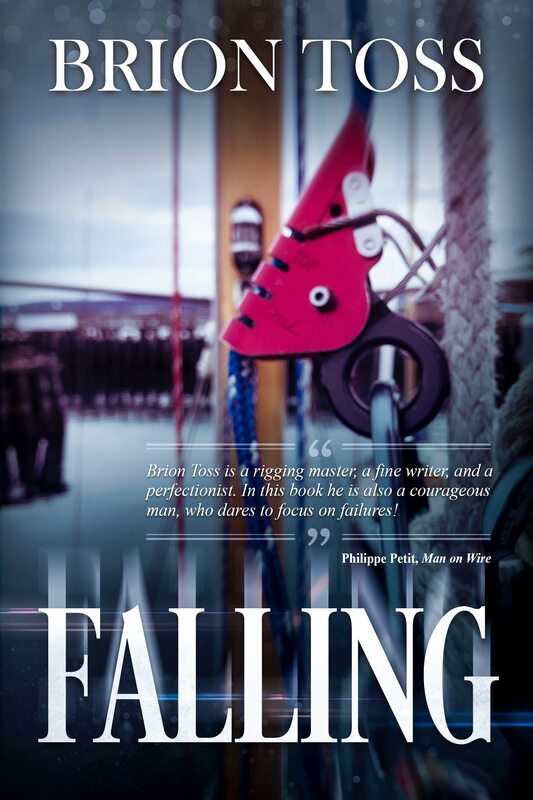 Especially if you find inadequate components – or even overbuilt ones – in the halyard’s run, you might cast the same load-sensitive sensibility on mooring lines, traveler car, spinnaker pole, jib furler, and anything else in the rig that needs to be scaled to the loads it will see. Hint: that means everything in the rig. If you are sure of the condition and suitability of your components, check the movable bits. Are the clevis pins and turnbuckle studs cottered? Are screws and shackle pins stuck/backing out/stripped/bent/broken? Do the winch pawl springs spring? Do the sheaves rotate? Components in sailboats have sub-components, and those sub-components are generally receptive to attention from human beings. Also vengeful if they don’t get that attention. Survey is a way to participate in the rig, to be a component yourself. If a jib furler line doesn’t exit the drum at a 90 degree angle, if a reef clewline has too much outhaul and not enough downhaul effect, if a Genoa sheet interferes with deck traffic, if your mainsheet boom blocks can twist, or if any line has to make a sharp turn when it exits a rope clutch, then you don’t have fair leads. If a deck padeye isn’t oriented for maximum strength, if chainplates don’t line up with their shrouds, if spreaders don’t bisect the angle of the shrouds that pass over them, or if a winch regularly overrides, you don’t have fair leads. To sum up, then, surveying rig components is a matter, not just of assessing condition, but also determining suitability and quality, checking for harmony with other rig components, and seeing if what you are looking at is conforming to the needs of geometry and common sense. After this post, I will be taking a break for a while. Yet another ankle surgery is in my immediate future, and I expect it will wreak havoc with my writing schedule, among other things. 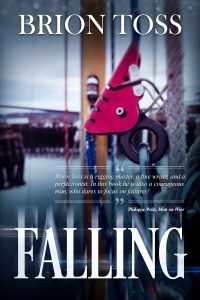 I intend to concentrate on getting the Falling book published, and will be posting notifications, so please stand by for that. Thank you to all those who have been so supportive of my attempts at writing. I hope to have more for you soon. In the interim, there are lots of articles and puzzles to enjoy in the back issues of this blog, and our online store is, as always, open for business. Good luck with the ankle and get well soon.